Black Labs are one of America's favorite breed of dog. If you have ever owned one you can see why. With their keen intellect and their nice disposition, they really are great dogs. When your order Black Labrador Personal Checks, you'll have four different poses of some pretty awesome dogs. 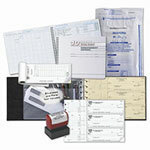 With our low prices, these Black Lab checks are a great bargain and will add some fun to your check writing. Order your personal checks today.